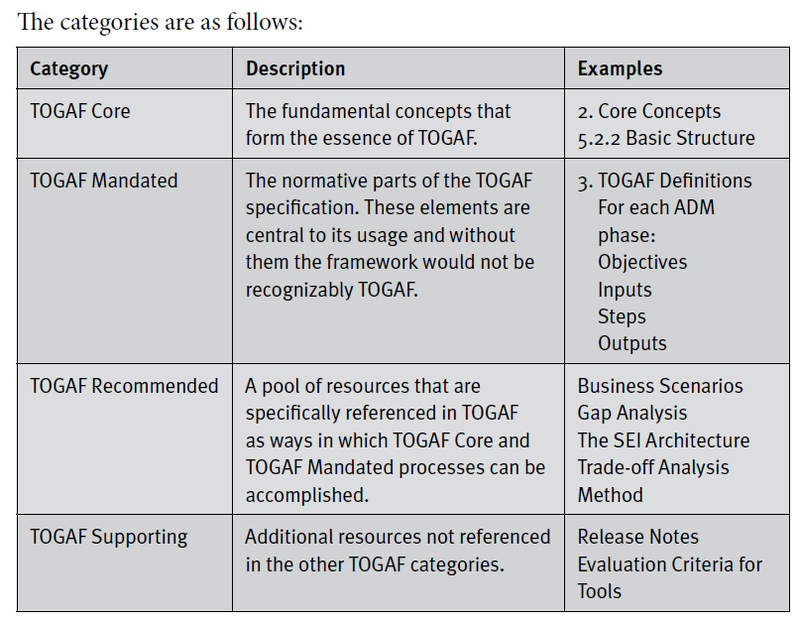 TOGAF 9 contains a model intended to assist with the release management of specification content. 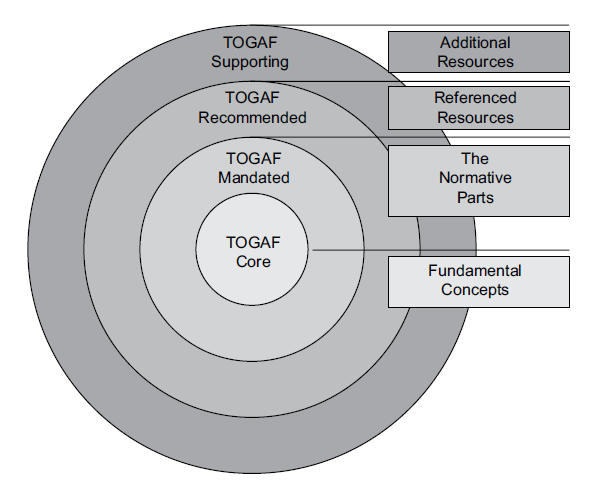 This is known as the TOGAF Document Categorization Model. It contains a definition of four categories of content, followed by a mapping of the document contents by chapter to the categories.